Very good for mounting monitor. 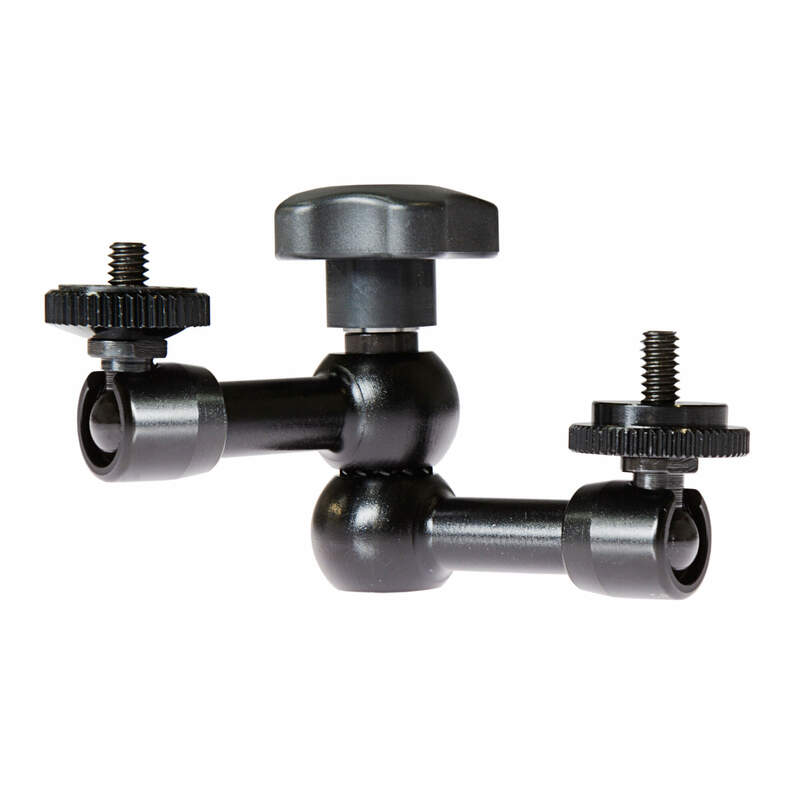 The 7″ Magic Arm from is an adjustable mounting option for attaching accessories such as small monitors, lights, and microphones to your camera. It uses two 1/4″-20 screws, one for each end, and comes with a foot adapter for use on hot shoes and accessory-shoe mounts, and also included is a 3/4″ spacer.